Say goodbye to manual screen grabs and tedious documentation. Say hello to qTest Explorer, a smarter exploratory testing tool. Do more testing, automation scripting, and bug reporting with the most sophisticated exploratory testing tool for agile software development. Documenting test results is time consuming process. Whether you need documentation for every test step or a detailed bug report, let qTest Explorer automatically document your results while you focus on testing. 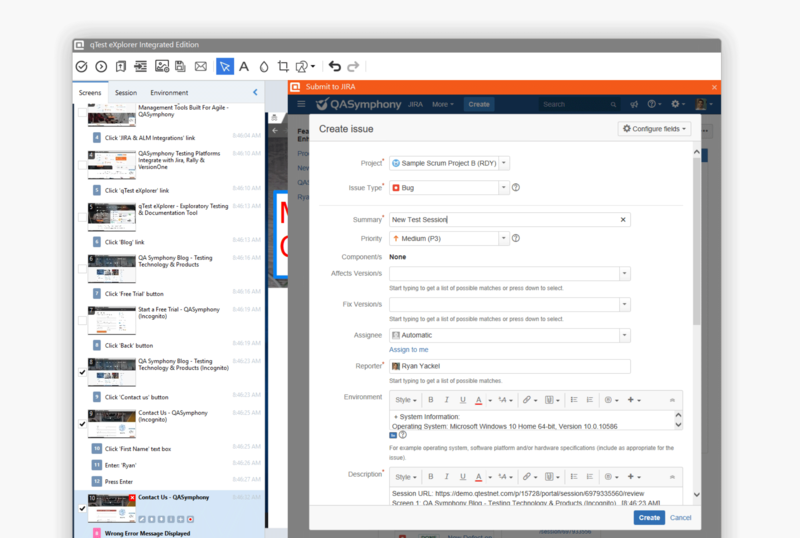 Inform your developers with high impact screen captures, environment details, and steps to reproduce that can be shared with popular agile ALMs like Jira, VersionOne, Rally and more. 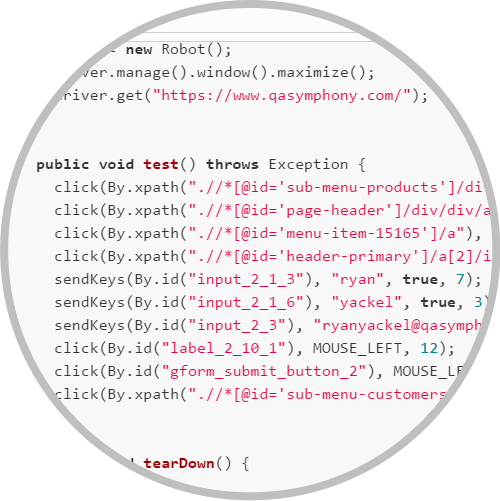 Reduce the test automation bottleneck. 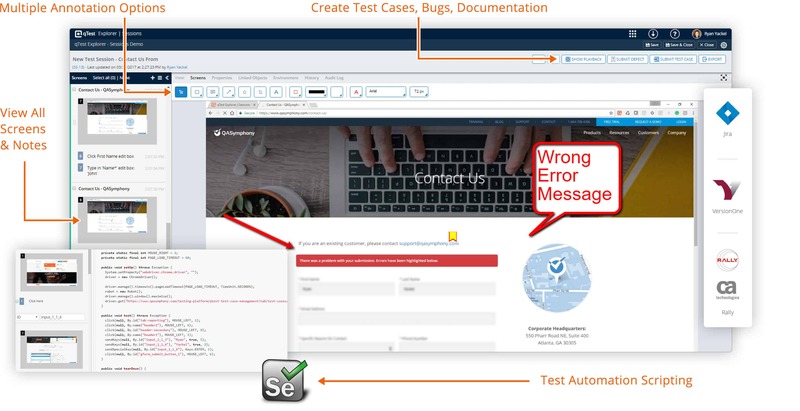 qTest Explorer’s intelligent capturing engine allows testers to instantly turn a test session into an automated Selenium or Protractor test script. Focus on your testing, while qTest Explorer automatically takes care of all documentation in the background. Save time by auto capturing your manual, session-based & exploratory testing. qTest Explorer automatically records all test execution environment data and user interactions on desktop and web applications. Intelligent capture technology tracks all interactions from the testing session and automates defect documentation. It’s easy to manage recorded sessions with our editor, which lets you annotate, delete and edit from a single interface. 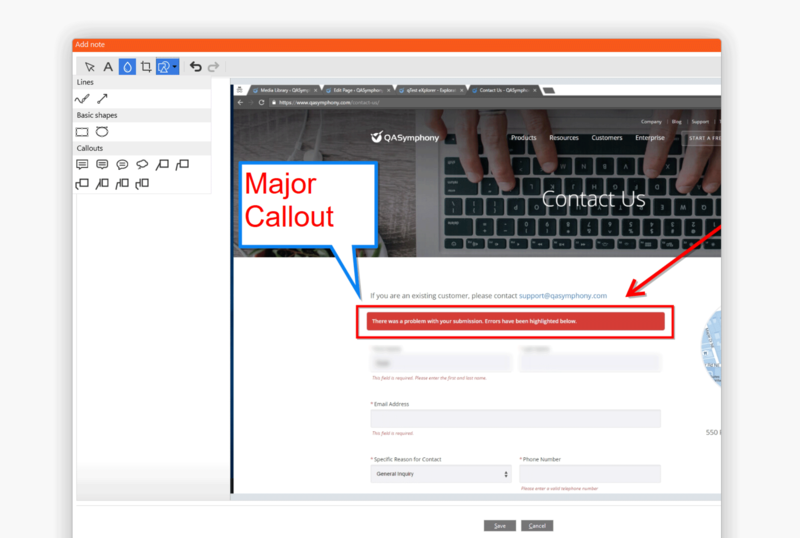 Share detailed defects with other team members quickly and easily via tickets or documents. 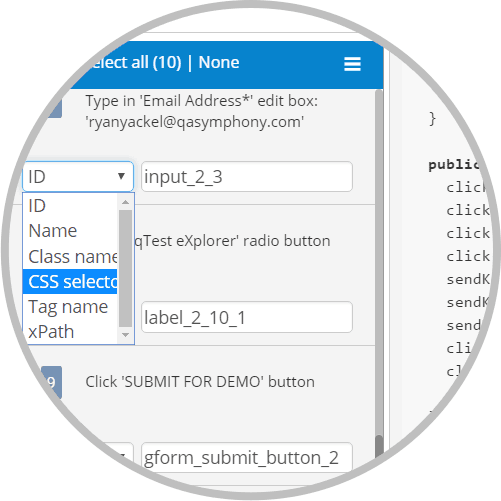 Instantly create test automation scripts and plug them into your automation framework. 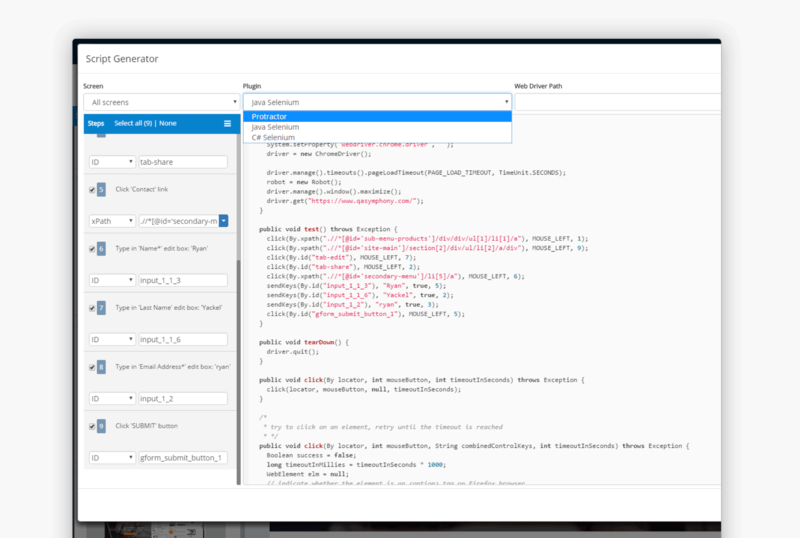 Analyze each automation script through the newly re-designed qTest Sessions UI. Decide which targets and values you want to use with each command. 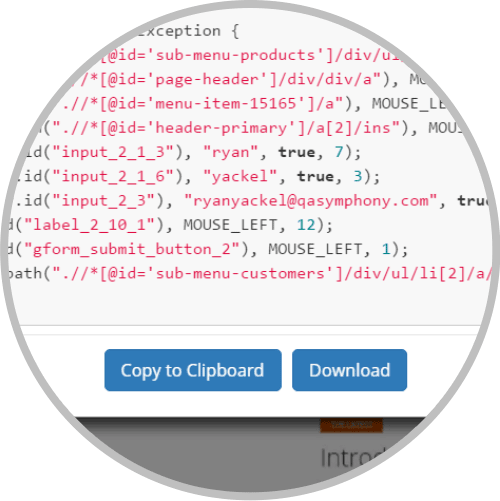 Quickly download or copy your Selenium and Protractor scripts into your automation projects. 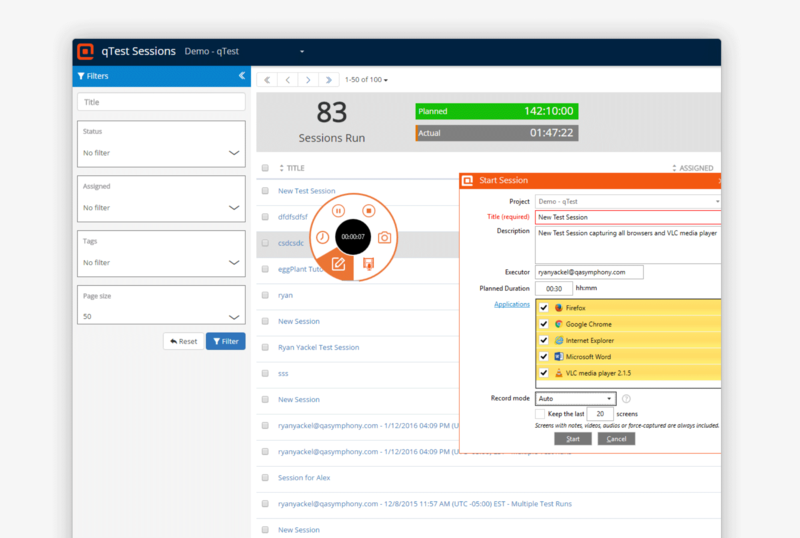 qTest Explorer transforms the way testers document manual and exploratory testing, resulting in huge time savings, increased productivity and more. Choose to walk through our user guide, watch some educational videos, or download the data sheet for qTest Explorer. Learn the ins and outs of using qTest Explorer. Visit the qTest Explorer video training center to learn more. View and download the qTest Explorer data sheet to take it on the go.